"This is a true sign that she feels safe." 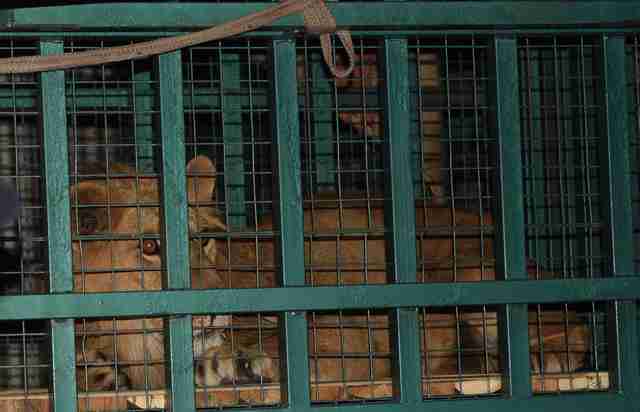 When rescuers arrived at the war-torn ruins of a zoo in Aleppo, Syria, to save the last surviving animals there, they rushed to get the animals loaded into crates and back across borders to sanctuaries in Turkey and Jordan. And it turns out that, for one lioness named Dana, it was incredibly important they arrived when they did. 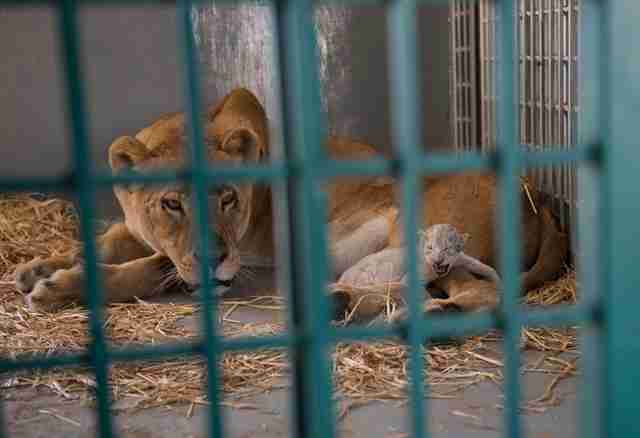 Many of the animals at the zoo, Aalim al-Sahar, or The Magic World, had died as war raged in the city. Last month, rescuers from Four Paws International coordinated entry into Aleppo to save the lives of tigers, bears, lions, dogs and hyenas. Dana was brought to the Al Ma'wa for Nature and Wildlife sanctuary in Jordan. And almost as soon as she arrived, she went into labor. 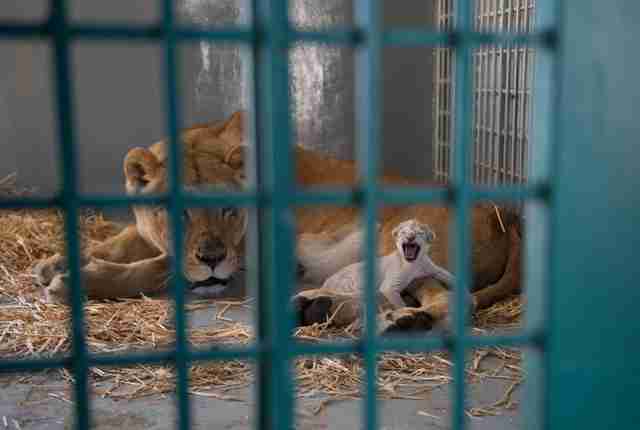 "Less than 12 hours after our arrival in Al Ma'wa for Nature and Wildlife the lioness Dana went into labor," Four Paws wrote on Facebook on Sunday. "She fortunately gave birth to a baby cub!!!" The tiny baby with white fur was named Hajar, which means "immigrant" in Arabic. The rescue team, which had discovered via ultrasound that Dana was pregnant, had been concerned about what impact the stress of the relocation and rescue would have on the pregnancy. Sometimes, when moms are under extreme stress, cubs don't make it. 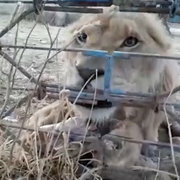 "Our team on site was very concerned about whether the lioness would accept the cub or kill it, as this is what lions sometimes do when they are under enormous stress," the organization wrote. "But luckily that wasn’t the case. She cleaned the cub and nursed it. This is a true sign that she feels safe at Al Ma’wa." After all that she's been through, it seems Dana's luck couldn't get any better. Except for one thing. An ultrasound two weeks ago appeared to show two cubs in Dana's womb. So there could be more good news coming. To help Four Paws rescue more animals from dire circumstances, you can make a donation. You can also help support Dana and her family's new home at the sanctuary.